Today SanDisk released details of its new SanDisk iNAND embedded flash drives (EFD). these new drives are based on an eight Flash dies stack design using SanDisk’s advanced X3 32 nm flash which allows each cell to store three bits of data. The SanDisk 64GB iNAND Embedded Flash Drives are designed for advanced smart phones to provide high-capacity and reliable storage whilst retaining a small footprint and low power consumption. 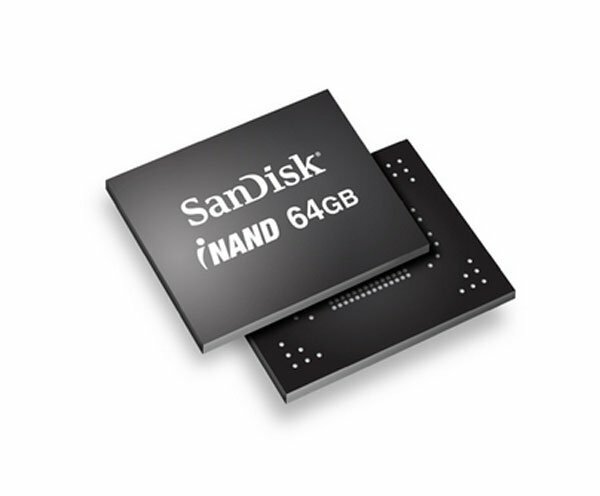 SanDisk 64GB iNAND Embedded Flash Drives supports the e.MMC 4.4 specification and with larger amounts of memory space comes a single drive boot operating system and storage.